Room availability may be viewed via the R25 tool in myRedlands. Rooms may be requested through your department's R25 designee (e.g. Administrative Assistant). For more information about the Library's meeting rooms, contact Debbie Alban via email or by calling (909)748-8092. Please be aware that rooms on the first floor are part of the Jones Computing Center. For more information, contact Iyan Sandri via email or by calling (909)748-8965. Armacost room: Study or meeting space for up to 12 with small whiteboard. Library Conference room: Also known as the Old Redlands Room. Serves as an executive meeting space for up to 14 around the conference table, plus additional seating. Stone room: Study or meeting space for up to 12 with a small whiteboard. Want to find books, CDs, DVDs, magazines, and more? Search the catalog. But that's not all: be sure to check the Article databases page, where you'll find access to online books, journals, newspapers, magazines, and databases. Can't find what you need? Try one of the Inter-library Loan options below. Interlibrary Loan (ILL) is a service where libraries loan items to other libraries on a patron's behalf. Log into your ILL account to request items. ILL requests may take 1-2 weeks to fulfill, Armacost Library absorbs all ILL costs so we ask that patrons be selective with their requests. 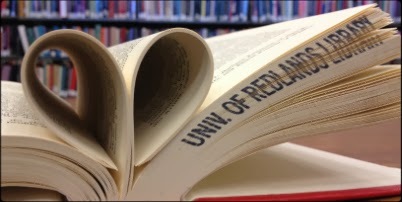 Institutional Scholarly Publication and Information Repository, InSPIRe, is a place where Redlands students can publish their major individual projects online. This open-access portal, called a repository, helps disseminate knowledge freely to anyone who has internet access. Items included in InSPIRe are easily discoverable through major search engines. MSGIS students have created the majority of the work in InSPIRe, and we plan to offer this opportunity to more students in the future. All University employees can bring their University identification to the library help desk and we will set up a free account for you.